Together with its provincial partners, the GPSC is working to enable access to quality primary health care that effectively meets the needs of patients and populations in BC. What do divisions need to know about the EOI submission process? What is expected to be in the Service Plan? Each division’s service plan is expected to use relevant data to detail their community priorities and services, and propose a plan to address them. This includes closing attachment gaps through supporting access to quality care. Service plans include a summary, a data profile that supports the division’s priorities, details about services that will be implemented, and a budget that captures required resources for implementation. The service plan template has been revised to reflect the lessons learned through the Wave 1 service plan development process and changes will be made as needed. What level of funding will be provided for PCNs? PCNs will be funded based on the community’s attachment gap plus additional resources to build out teams and support governance, change management, and administration. The simplest way to consider the level of funding is to determine the costs of the resources that would be required to close your community’s attachment gap. For more information, contact your GPSC and Ministry of Health liaison. What are the realistic timelines to develop the Service Plan? Based on learnings from Wave 1 communities, each community will have 120 days to develop their service plan (an increase from the initial 90-day window). Some items, such as calculating the attachment gap and establishing the data profile, may be started in advance of the 120-day window for service planning. What comes first to support better patient care: access or attachment? The overall vision of implementing primary care networks is to enable team-based care by bringing together GPs, NPs and other health professionals to put patients at the centre of their care. Both attachment and access are important aspects to consider. The objective of the first phase of PCN implementation is to increase the number of British Columbians attached to a primary care provider. Access to quality health care is simultaneously addressed through the addition of team-based care resources, in addition to the new resources necessary to close the attachment gap. How will the significant recruitment needed to achieve PCN work be supported? Once a service plan has been approved for a PCN community, the community will be put in contact with a representative from Health Match BC to discuss recruitment strategies to meet the community’s approved resource allocations detailed in the service plan. How does the Physician Master Agreement (PMA) support the PCN Service Plan? The new PMA is currently the subject of negotiation, and all parties at the table understand the importance of supporting the primary care strategic direction. The current PMA offers support for key enablers of the PCN work through the Divisions of Family Practice and the Practice Support Program. What is Feedback from the Profession, and how can I participate? Each month an email is sent to divisions (physician leads, executive directors and CSC co-chairs) from divisions@doctorsofbc.ca on behalf of Afsaneh Moradi, the Community Partnerships and Integration Director, seeking feedback from the profession. Any feedback received is then acted on by CPQI staff, and directed to the GPSC for discussion as appropriate. What is a patient medical home (PMH)? Better use of EMR data (achieved through panel management) for proactive patient care and efficient use of practice resources. More team support from allied health professionals and other providers. Physician networks for peer and patient support. Being part of a primary care network to access clinical services in the community. The practice operates at an ideal to provide longitudinal patient care. Other primary care clinics, such as a community health centre or health authority-run clinic can also function as a PMH. Patient medical homes are the foundation of primary care networks – the broader system of services and supports in the community. How does a PMH help patients? Patients get better access to continuous, comprehensive, and coordinated primary care to support their full range of medical needs. Patients have a relationship with a primary care provider, usually a family physician, who directs their care and arranges expanded services in the community. How does a PMH help doctors? A PMH brings more supports into a family practice to help GPs to care for patients, especially those with complex needs like the frail elderly, and patients needing mental health care. A PMH connects GPs to broader community-based teams and services. Doctors get relief from caring for patients alone, which can help avoid burnout. They can spend more time on difficult diagnoses, patient relationships and longitudinal care. They can make the most of their practice resources, time, and capacity. Why should doctors look to create a patient medical home? A PMH frees you up to do the work you love to do, and for what brought you into the medical profession in the first place. What is a primary care network (PCN)? A Primary Care Network is one of the main ways that we are working to enable team-based care and support patient attachment. The networks link family practices and clinics together with health authorities and other primary care services in a geographic area. Community partners that build PCNs are also responsible for planning out the full complement of primary care needs within a community. These primary care networks enable doctors to work collaboratively with teams of health care professionals like nurse practitioners, psychologists, pharmacists and other practitioners to more effectively meet the health care needs of the local community. Everyone works together to manage their patients’ health care: patients will see the providers who can best help them with their specific needs. PCNs reorganize the way everyone works together by strengthening teamwork, communication and links. Collectively, they bring services together around patients and their families. How do PCNs help patients? PCNs help improve access and attachment for patients. They enable patients to receive expanded, timely, comprehensive, coordinated care for all their health care needs – both inside and outside their patient medical home and when needed. 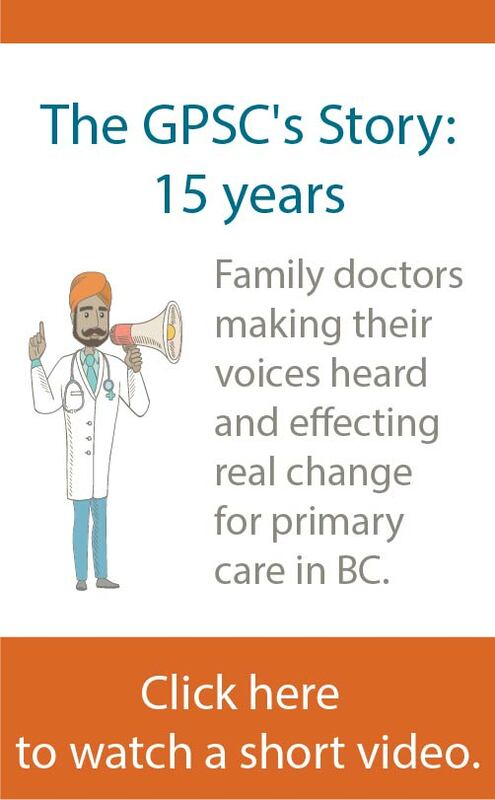 A PCN also creates capacity in a community to increase access to primary care for people without a family doctor. How does a PCN help doctors? As part of a primary care network, family doctors have access to a supportive network of health care providers and services outside of the practice to expand care for patients. feedback about how their patients are doing when they are receiving care from allied health care providers or community services. What is the difference between a PMH and PCN? 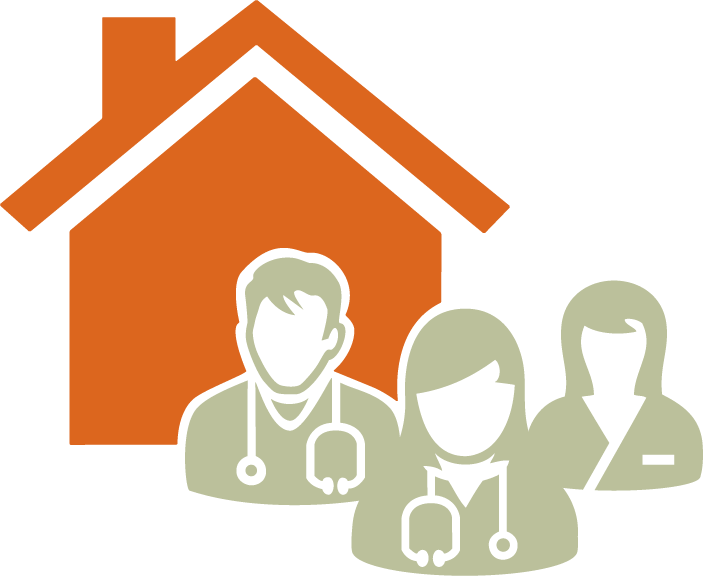 A patient medical home (PMH) is a family physician practice, or community health centre or health authority clinic. It is where patients get the majority of their care. A primary care network (PCN) is a clinical network of primary care providers in a geographic area, including doctors in PMHs. It is where patients receive expanded, comprehensive care. Read more about the differences. How do PMHs and PCNs mutually support each other? A PMH supports a practice to operate at an ideal level, which in turn creates a strong foundation for primary care networks in the community. A PCN makes the whole community stronger, which in turn supports GPs to care for patients and create patient medical homes. Who is responsible for creating PMHs and PCNs? Family doctors, their practice partners and practice teams are responsible for the creation of PMHs in family practices. GP practices are supported by the GPSC with funding, coaching and tools. Divisions of family practice and their health authority, the First Nations Health Authority along with local First Nations, and community partners share primary responsibility for creating PCNs in local communities. Decisions are made through a local Collaborative Services Committee (CSC) or PCN Steering Committee. Are doctors already doing this? Some are, some aren’t. The creation of PMHs and PCNs is an evolving area of work in BC. Some doctors are using EMR data for proactive, preventative care. Others may be getting support from allied health care providers located in their practice or in the community. In many rural areas of BC doctors already work in this way. Primary care is integrated with the community care, and doctors work closely with other doctors and health care providers as a team. The changes to primary care build on work that physicians have been leading for the last decade, including through A GP for Me, residential care initiatives and the GPSC fee incentives. The GPSC support for full service family practice with emphasis on attachment and longitudinal patient care relationships continues. Some communities and practices –particularly in rural areas– already work this way to a great extent. Enabling a greater use of teams of health care professionals in primary care supports GPs to spend time on diagnoses, patient relationships and longitudinal care, freeing up GPs for what brought them into the medical profession in the first place, and to do the work they love to do. What do doctors think of this work? Physicians said through the GPSC Visioning consultation in 2015 that they are open to new and different ways of practicing so they can provide the best care possible for their patients, while achieving a healthy work-life balance. We also know that newer doctors want to practice in more flexible, team-oriented work environments. How does a practice pay for these changes? Targeted tools, resources and teams for practices and divisions are provided by the GPSC programs like the Practice Support Program and Doctors Technology Office. Practice-level incentive fee are available for panel management. $250,000 has been provided for each division of family practice from GPSC to resource PCN development and change management in their communities. Over time, the Ministry of Health will fund allied health and other providers to establish inter-professional teams. Why is it important to assess the practice's panel when establishing PMHs and PCNs? Doctors can use their EMR data to identify the kind of team-based support they need in their patient medical home. They can work with other doctors and the local division to determine what kinds of supports the community needs as whole, when establishing PCNs. Read more about panel management. When is the work happening? The creation of PMHs and PCNs are an emerging area of work in BC. Divisions of family practice and health authority partners have started the work to create PCNs in some BC communities. Other communities will follow. Transformation of the health care system will not happen overnight, but in stages, as GPs and divisions and health authority partners work out new models of care, and new ways for providers to work together. How can GPs get involved? Use EMR data to know and plan for your patients’ needs. Identify team-based supports that would help you. Connect with other GPs to plan for mutual patient supports in the community.